Fitness First is undoubtedly the largest fitness club in the world serving more than one million members in over 360 fitness centers in 16 countries. It has various programs and classes that cater to different age groups for them to achieve their fitness goal. Even with its affordable prices, one can expect high-quality equipment and services on their trendy, yet family-friendly environment. It is the organization behind the New You Achievement Awards and the International Fitness Week celebration. Fitness First opened in 1991 by a British investor in Bournemouth. Sir Tony Beer has founded it as a squash club or a ball sport until it grew into a health and fitness center. It has now expanded to Australia and Asia. By 2000, it has opened its 100th club in Cologne, Germany and had past the one million members in 2004. In 2006, it now established 500 clubs worldwide. 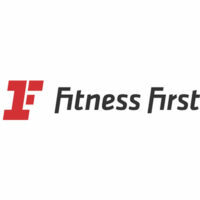 Fitness First has undergone restructuring and management turnovers but remained loyal to its promise of delivering health and fitness programs among members. Its headquarters is located in Poole, United Kingdom. Each club in every country has some advantages for members to avail. In their main location, individuals can avail of discounted fees or even free classes in cardio, Zumba, or spinning classes. Member can also avail of a pass that allows them to workout in over 70 countries around the world and has access to almost all facilities and amenities. Certified Physical Trainers are ready to serve members on a one-on-one basis or group class. You can book these fitness instructors beforehand for a seamless workout experience once you arrive at your destination. Personal training sessions can be for everyone with different age and fitness levels. So, for moms, buffs, and seniors, they can expect trainers that can assist them to exercise at their own pace. There are around 100 training and programs for members worldwide, though it varies per location and club. From body combat techniques to yoga and dance, Fitness First has an extensive portfolio of actives and programs for each one. It creates a sort of community within a region because it promotes fitness to other people through exciting events that happen annually around the world. Awards and Fitness Week Celebration gathers experts and enthusiasts alike to pool their energy to becoming fit and active. And even more, to instill fitness in everyone, some classes like body pump and Zumba are offered for free. Specialty classes are also provided at a small charge as well. If you want courts and swimming pools, there are 10 locations in London, although, some parts of the world are also claiming to have one in the future for the improvement of servitude to its members. Fitness First has its fair share of issues and controversies. However, it stands today as one of the largest chains of health and fitness centers around the world. Membership differs from one country to another; however, the average for a basic monthly plan for a single person is $45 with no initiation fee. A three-month package will be reduced to $99 with zero enrollment and cancellation fees.